It’s important to understand that technology alone does not deliver digital transformation to a customer. I want to help you understand how Office 365 in it’s entirety can empower your business to digitally transform. 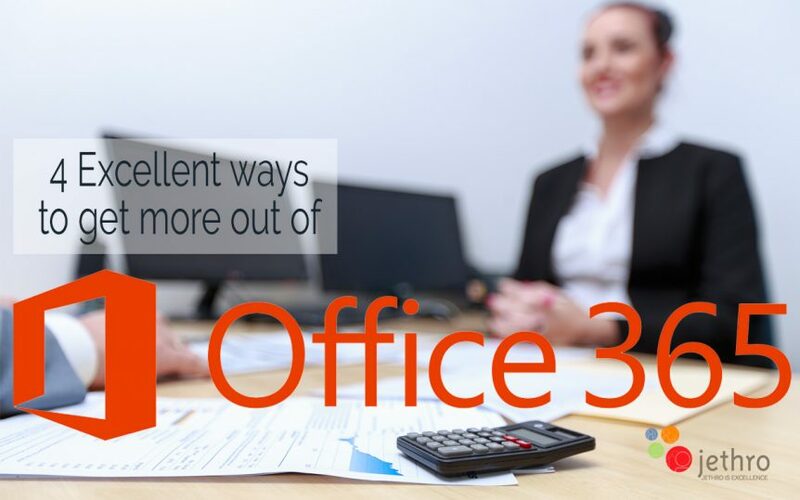 So here are 4 excellent ways to get more out of Office 365. The first step is to start with some training. The Office 365 Training Centre invites you start with 6 simple steps. The first is signing in. Have you ever signed in before at https://office.com? Check out the dashboard of your apps and then follow the remainder of the training steps to learn how to get more out of Office 365; quickly create content, share and collaborate, work with your team connect your mobile device and try some new things. The next thing you can look at is some Basic Video Training. You could come and work your way through all these short training videos or just access them on an ad hoc basis when you need to know how to do something specific. If you use Word, Excel or PowerPoint on a regular basis you are probably familiar with the way you do things. But you might just be surprised at what other features and capabilities the applications have. Why not download some templates for your favourite application and learn some new ways of doing things. Go one step further and download these infographics to print out as visual reminders these ways to get more out of Office 365. Finally why not head to the Office Tips & Tricks page and use their easy to locate tips and tricks options to explore some smart ways to do things. At Microsoft, they strive to build technology that augments human creativity. Office 365 provides the tools for creators to do their best work whether that’s writing a term paper or drafting a business plan, crunching numbers for a sales report or building a predictive model for game design, creating a pitch deck for a big customer meeting or designing the next skyscraper. Microsoft’s tools are backed by AI and machine learning, empower people to do things they could never do on their own because they now have the intelligent services working for them – enabling creativity, automating tasks, surfacing insights and connecting activities and experiences across any device. We also help companies engage and empower their Firstline Workers by opening communication channels throughout the organization from the frontline to the CEO ((Yammer, Stream, Power BI, StaffHub). So get started with these simple tips today and get more out of Office 365 to make your day to day work life easier.